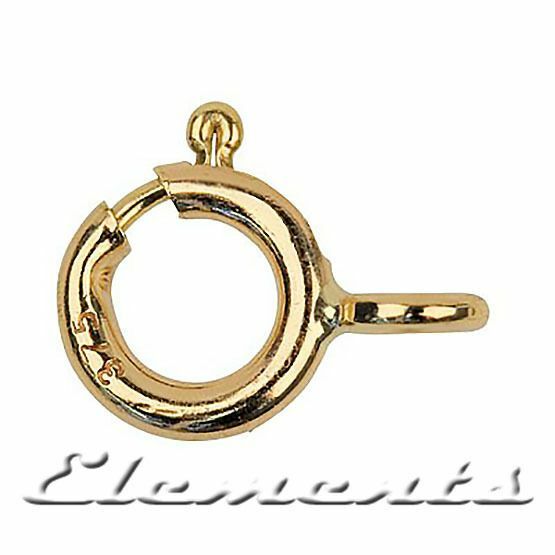 5mm Solid 9ct Yellow Gold Strong Bolt Ring Clasp! These bolt ring clasps are made of solid 9ct yellow gold! They have a small jump ring to attach to necklace or bracelet. Options from drop down menu allows you to choose the clasps with open rings or closed ones (soldered close). Pack of 1, 2, 3, 5 or 10 bolt ring clasps!